That old spaceship looking house gets front page? It’s really funny to me that we have huge political changes going on, a missile that was accidentally fired near California and it’s veterans day to top it off, and the Denver Post front page news story is that some house sold. 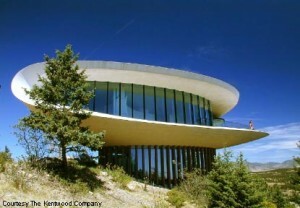 I have seen this house many times driving up to the mountains and it is iconic to the area around Denver. It is listed in the National Register of Historical Places and draws thousands of views daily. But why in the world is this front page news? Sure, the guy who bought the house and had it foreclosed only received half of what he paid for it, but who cares? The house was made famous by the movie Sleeper. I have never seen nor heard about the movie other than the fact the house was built for that sole purpose. 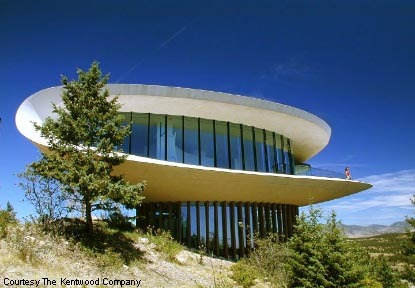 There are several buyers who want to take over the futuristic style house and give it modern day feel. The house is said to be very nice inside. If I was a subscriber to the Denver Post I would be upset that this is on the front page. The house that might fly away! Sleeper was one of my favorite films back in the 70s/80s, but Woody Allen’s humor doesn’t always age well. You say it yourself, Alex: It’s iconic. Everyone who passes thru Denver on the interstate sees it. That alone makes it newsworthy because it might be torn down. It might not be there as an “icon” any more.